There are those, in response to the recent revelations of the US government vacuum cleaning our lives through the NSA and other secret programs, who take the line that the innocent have nothing to fear from the government. Here is an example of why no one should take such a naive approach to the powers of government. 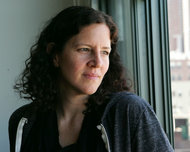 The New York Times reported recently (“Player in Leaks Case, Out From Behind Camera” http://www.nytimes.com/2013/06/15/business/media/filmmaker-linked-to-leaks-has-her-own-stories-to-tell.html?_r=0 ) on the role of Laura Poitras in the revelations by Edward Snowden about domestic surveillance by NSA et al..
Ms. Poitras, who won a MacArthur “genius” grant last year and was nominated for an Oscar for “My Country,” was already living and working outside the country. After six years of being questioned at the border — “upwards of 40 times, probably more, I lost count” — and having her laptop seized, her notes copi.ed, she relocated to Europe. 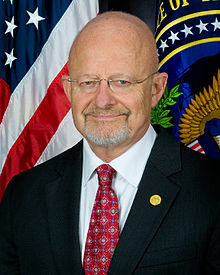 Here is a well-known person who has fallen under the gaze of the US Security State. Can you imagine living with the certainty that every time you cross the US border that you, a US citizen, would be detained, questioned, have your property and documents seized? She has not been accused of anything, she is being harassed just because the government does not like her views of US foreign policy. Of course, we don’t really know why she is considered such a threat because the security state hides behind the shield of “national security interests”. They couldn’t possibly explain themselves because they don’t have to. Like security police everywhere they are beyond any recourse. You might think that you are immune? In researching this post I came upon the New York Times “Op Doc” below by Laura Poitras from August 2012. 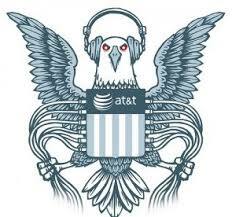 It is 8 minutes long and foretells and explains what the NSA is doing. Pay careful attention part way through when the key player, William Binney, explains how the collection of data will be turned into a social profile of everyone in the US who uses email, telephones, credit cards,… This makes Facebook’s timeline look as uni-dimensional as it is. Imagine a timeline where every interaction you have with other people is mapped out spatially with in depth knowledge of the content of that interaction.